Nestled along Banderas Bay at the foot of the Sierra Madre mountains is Mexico’s treasured gem: Puerto Vallarta. 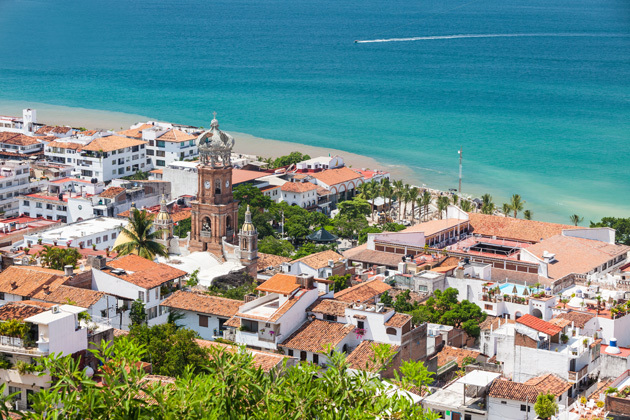 With a growing reputation for its art, fishing, food, and LGBT-friendly community, Puerto Vallarta is a popular destination with a lively atmosphere in the city and serenity on the beach. On the one hand, the city is home to a myriad of dazzling resorts with secluded luxury for those who simply wish to lounge around. On the other, it’s a trendy beach town with a pretty waterfront, a fusion of international restaurants, and many art galleries and nightclubs lining the cobbled streets for those seeking a mixture of all-inclusive luxury and an experience of Mexican culture. What’s your Puerto Vallarta? Our Puerto Vallarta vacations travel guide highlights everything under the sun — from an inside scoop on what to do and where to eat to a list of the bes resorts. When to visit Puerto Vallarta and for how long? A visit to the Malecon area of Puerto Vallarta will leave you feeling like you’ve truly experienced the city. 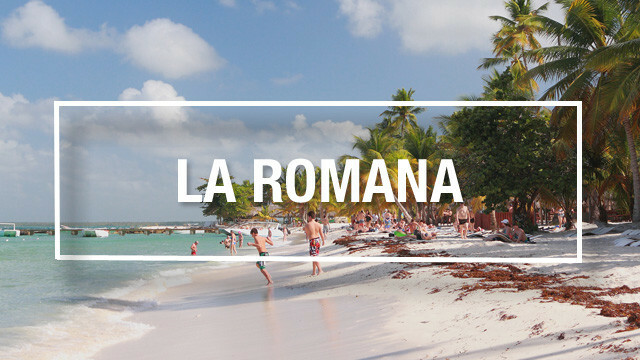 Stroll along the seaside Malecon promenade to spot sculptures like the famous Boy and Sea Horse, chat with vendors offering souvenirs, and admire locals dancing in the main square. Home to a number of restaurants and bars, the promenade is alive both day and night — a walk during the day will leave you experiencing true Mexican culture with art, music, and waves lapping the shore nearby, while at night the area turns into a mecca for nightlife and drinking. The majority of the area is pedestrian-only traffic, so enjoy a quiet stroll with beautiful views of the bay here. Art sculptures dot the promenade here, and free art walks outline everything in the area. The Malecon area also offers some of the best shopping in Puerto Vallarta. Further up from the downtown strip and Malecon is a public beach. The area is a favourite among locals and LGBT travellers. The beach, known as “beach of the dead,” is lined with sand and stone art. Often crowded with locals, the beach is a great spot for people watching or a beer and glimpse of the sunset at one of the area watering holes. 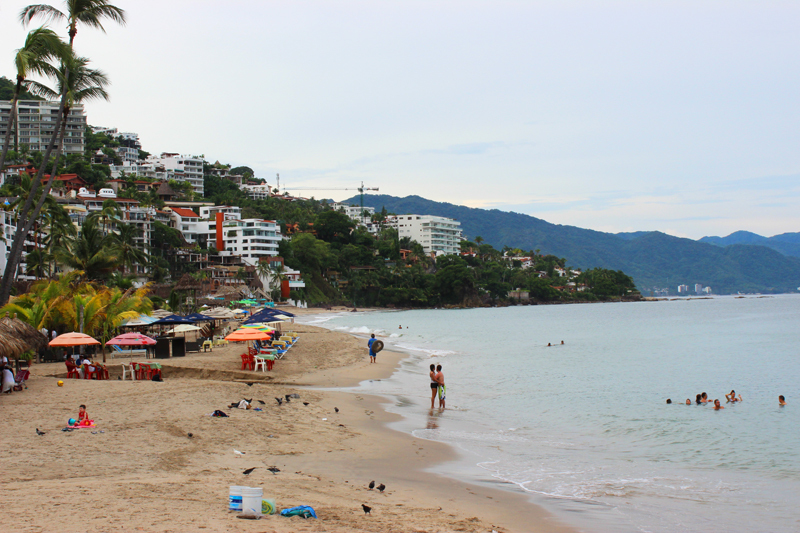 Playa de los Muertos is not a far walk from the Malecon downtown area of Puerto Vallarta. The iconic Church of the Virgin Guadalupe stands in the middle of Puerto Vallarta: with its ornate decor on the exterior of the church, the church stands tall over the downtown area. Listen for its bells that ring before each service, or visit in December for the Our Lady of Guadalupe Festival which runs December 1 through 12, complete with both Christian and Aztec motifs, dance, and tradition. Other churches in the area worth noting for their history are Parroquia Nuestra Senora del Refugio, and the Iglesia de la Santa Cruz. It’s no exaggeration to say that you’ll find art almost everywhere you look in Puerto Vallarta: around every corner throughout the downtown core are sculptures and statues, while deeper into the streets of Puerto Vallarta you’ll find myriad street art and paintings. Visit art galleries, located in the downtown core and throughout Puerto Vallarta, or keep your eyes peeled as you enjoy a walk alone malceon. An art walk, whether organized or on your own, and walk along the malceon are popular shore excursions for visitors visiting by cruise ship: an afternoon spent exploring by foot will lead you to countless delicious markets, restaurants, or street food stands, art throughout the city, and a glimpse into what makes Puerto Vallarta tick. Arguably the best view of Puerto Vallarta is following a hike up Cerro de la Cruz. You’ll get a 360-degree viewpoint here from a viewing platform. The hike up the summit takes about 30 minutes, but the views make it worth it. The destination is also suited for eco-tourists who enjoy whale and bird watching as well as water sports like kayaking and scuba diving, and even thrilling jungle adventures like ATVing and ziplining. Golfers can find pleasure in Vista Vallarta Golf Club or Marina Vallarta Golf Club. 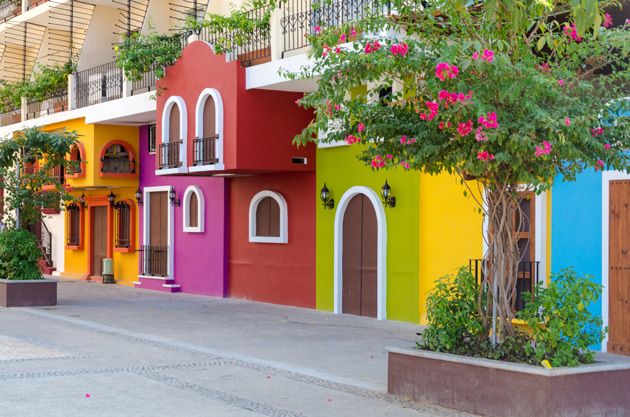 Culture-lovers will appreciate Puerto Vallarta’s historic downtown, with its cobbled streets, art shops, trendy restaurants and boutique hotels. If you’re looking for an adventure in Puerto Vallarta, off the all-inclusive resort, consider heading into the downtown core: approximately M$7.50 a trip by bus (that’s less than $1 CAD). A cab ride into the city is approximately M$80 from the hotel area into downtown, and M$120 to the airport. If you’ve organized an excursion, many times you will be picked up by a bus or van at your hotel and transportation is included, and organized in advance. One of the post popular Puerto Vallarta tours is taking a day trip to Mariestas Islands off the coast of for a day of bird watching, kayaking, snorkeling, and scuba diving. Known as a wildlife sanctuary, you’ll find dolphins, whales, sea turtles, tropical fish, and caves while exploring this group of islands. The Marietas Islands (La Isla Marietas) are one of Puerto Vallarta’s most popular tourist attractions — you’ll find plenty of tours taking you to visit them. For a quiet walk come evening before or after a drink, visit Puerto Vallarta’s marina. With plenty of boats docked, the odd crocodile swimming in the water, and a great walking strip along the water’s edge, the marina is another Puerto Vallarta attraction you’ll want to see for a true experience of Mexican culture. Visit during peak season to take in the Saturday morning artisanal market in the area. For resorts close to the marina, opt for the Melia Puerto Vallarta, or Velas Vallarta. Just 20 minutes north of Puerto Vallarta, the Riviera Nayarit area offers a more peaceful atmosphere, luxury resorts, and professional golf courses. It’s known for its surfing and laid-back vibe where you’ll find yoga resorts and hippy shops. San Pancho (San Francisco) is the quaint Mexican village surrounded by jungle, mountains, and beaches, where locals gather on the beach and hold fiestas in the city square. You’ll find La Isla Marietas here, perfect for the eco-tourist who wants to dive deeper (snorkeling is available!) into Mexico’s wildlife and nature. Puerto Vallarta is the spot to visit if you’re looking to whale and bird watch. You’re going to want to book a tour for whale watching (like one of these), and the prime season for spotting them in the Bay of Banderas is December through March. Bird watching is a popular activity in the Riviera Nayarit area. Another popular excursion that many opt to do on their Puerto Vallarta vacation is a canopy tour, or other outdoor and off-roading adventure tours. These tours are also great cruise and shore excursions, as they have offerings from the port to the tours and back, and offer a great view of the city during a shorter stay. Mexican culture is all about their food: spicy, flavourful seafood dishes and fresh tomato and avocado. It’s a perfect pairing. Puerto Vallarta has no shortage of restaurants, markets, cafes, and clubs. Wander the cobblestone streets in search of authentic, independently-owned restaurants and try fresh seafood, spicy peppers, and some of the best guacamole. We’re drooling already. Food markets are scattered throughout the city, in pockets off the main drag and off the beaches. They might take some local insight to find, but the food here is authentic and delicious: if the locals are lined up, you know it’s going to be good. The malceon and marina strips of Puerto Vallarta are dotted with restaurants, from smaller cafes to finer dining, serving everything from seafood, to international, pizza, and tacos. Food tours are common and will outline the best in Puerto Vallarta street food. If not planning to stray far from your all-inclusive resort, choose to stay at resorts known for their countless dining options and great food like the Hard Rock Hotel Vallarta, or the Hyatt Ziva Puerto Vallarta. 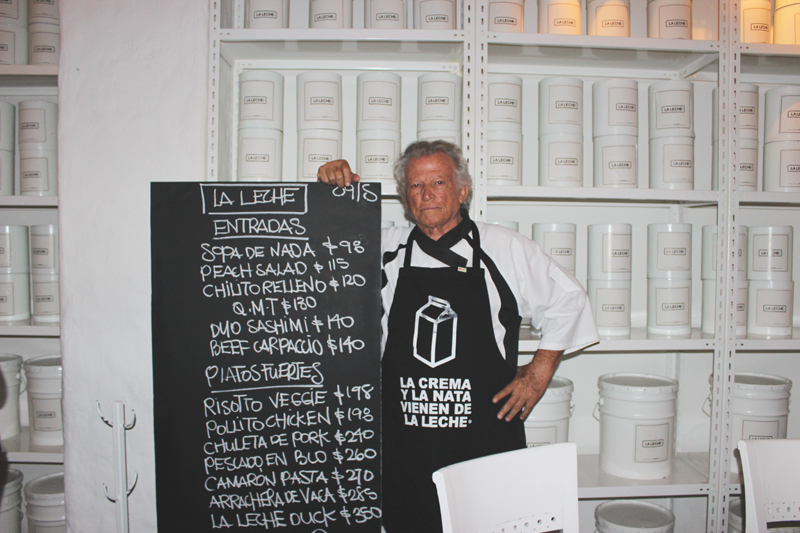 La Leche: Puerto Vallarta’s version of a celebrity chef is Chef Nacho Cadena, also the owner of Friendly Hola Vallarta hotel. His food is experimental and gourmet, so choose this if you have an open palate and are looking for a more formal evening. River Café: If you’re in search of a restaurant with a unique atmosphere and amazing food, this is the place. Dine in the rainforest beside a river, among iguanas, otters, and even crocodiles and alligators. Wintertime and holidays such as Christmas, New Year’s, and March Break/Reading Week are the most popular times to visit Puerto Vallarta, when crowds and prices increase – but Puerto Vallarta is nice any time of year. 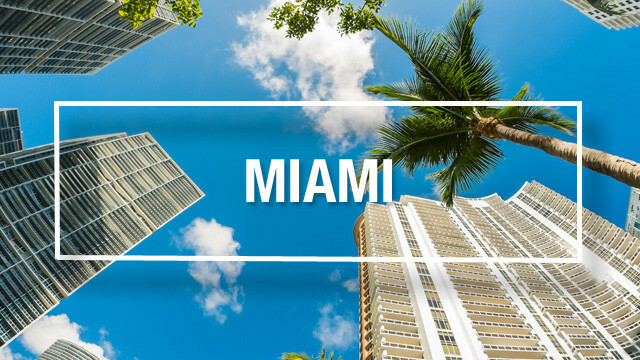 We recommend a weeklong stay to enjoy the beach and take excursions or visits to the city if you wish. 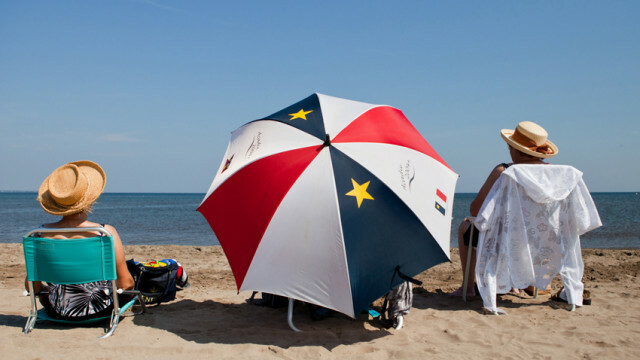 Some sun-seekers stay as long as two weeks. Winter temperatures average 22-25C and a light sweater may be desired in the evenings. During the springtime, temperatures average 20-29C and summertime temperatures range from 27-33C. The weather is humid in the summertime and you may experience some rain and the occasional thunderstorm after dark. Festivals in Puerto Vallarta take place year-round. The Art Walk occurs every Wednesday from October through May. Wine Fest, Vallarta Bird Festival, and Athletic Half Marathon and Race occur in March. In May, you can enjoy Restaurant Week, Vallarta Cup, International Altruism Festival, and the Bougainvillea Festival. September is the Independence Day Celebrations, while Day of the Dead Activities, International Fishing Tournament, and International Gourmet Festival occur in November. Most visitors to Puerto Vallarta purchase an all-inclusive vacation package which includes round-trip flights, hotel stays, and transfers to and from the airport with their tour operator. 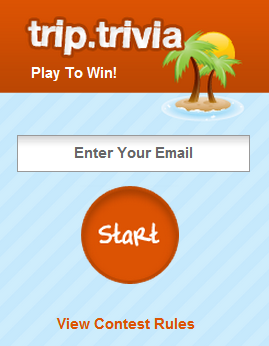 These resort packages typically include all food and beverages, activities, entertainment, and a beachfront location. Boutique hotels without meal plans are also available in the city. Puerto Vallarta is a popular cruise port, often paired with stops in Mazatlan, Cabo San Lucas, and California, sometimes San Diego, Los Angeles, or San Francisco. Puerto Vallarta shore excursions like city tours, adventure tours, and swimming with dolphins are available. Located in the state of Jalisco, visitors to Puerto Vallarta arrive at the Gustavo Diaz Ordaz International Airport, 10 km north of the city. Puerto Vallarta is approximately one hour from Mexico City. Flights from Toronto are almost five hours long. The Puerto Vallarta cruise port is about 5 km north of the city center, about a 20 minute ride. Taxis line up to take you downtown and cost about M50-M80 but many people take the bus that drops you off in front of the Malecon. Really nice article. I was in Puerto Vallarta for a vacation last year, Loved the place, beautiful beaches, and the amazing nightlife.